It is important that people who invest in contact lenses make sure that they handle the products carefully and follow a strict daily routine, one source has pointed out. A post on the Updated Dailey blog noted that proper handling is vital to prevent infection and ensure that the contacts work to the best of their ability. 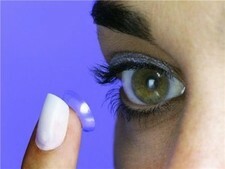 "Contacts have to be cleaned before you put them in and soaked in solution when you are not using them. You may also have to make use of eye drops as well through the day," the source added. It noted that daily contact lenses eliminate the problem of having to store the products in contact lens solution, as they can be disposed of. Recently, a post on the Comfortable Contact Lens blog noted that people should follow steps such as always washing their hands before touching the products or inserting them, as well as ensuring that the correct contact lens solution is used to store the products.